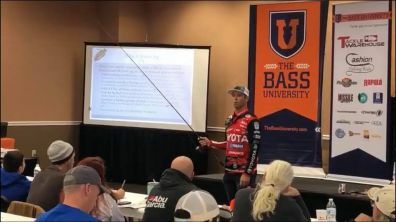 Mike Iaconelli was 1 of 6 instructors teaching bass fishing secrets for The Bass University in Edison, NJ. Other professional bass fishing tournament anglers were: Seth Feider, Cliff Crochet, JT Kenney, Ish Monroe & John Crews. See Bass University Class Schedule or Watch Bass University TV - online bass fishing classes. This year's Ike Foundation Scholarship Dinner will be held Fri, January 25, 2019 7:00 PM – 11:00 PM EST at Centerton Country Club in Pittsgrove Township, NJ. Come enjoy an evening of beer, wine, great food, music, and much more. Tickets are available for $45 (+ processing fees) each. 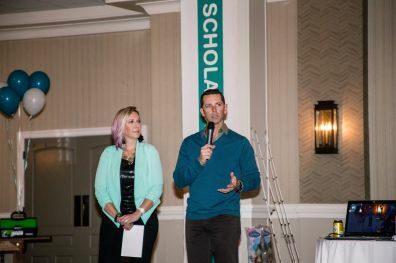 Meet Mike Iaconelli at the 2019 Ike Foundation® Scholarship Dinner. In 2018, the Ike Foundation® awarded five deserving high school seniors with a $3,000 scholarship for college. Please help us surpass last years numbers by joining us for a fun night with dinner, drinks and amazing auction baskets provided by our generous sponsors. In the very first Major League Fishing Bass Pro Tour event, Mike survived the first cut and narrowly missed making the final day cut by only 4oz. In the new format, 40 anglers fish days 1 & 3 (Group A), and another 40 anglers fish days 2 & 4 (Group B). After these 4 days, the top 20 from each group make the cut to fish day 5, after which the group of 40 is cut to the final 10, who fish for the title on the 6th and final day. 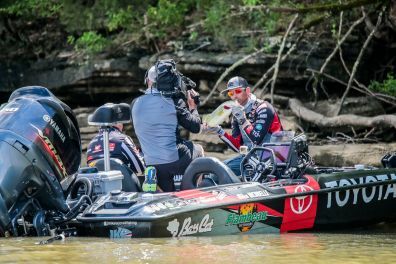 Iaconelli finished in 12th place after the first 2 days of tournament competition, safely landing in the cut for the "knockout round" on day 5, when weights were zeroed. 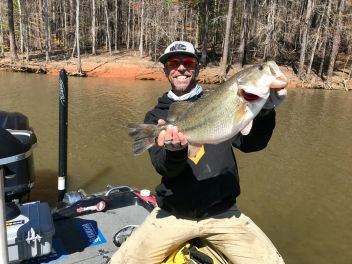 Iaconelli was knocked out of the final day cut by a last cast catch by fellow Tackle Warehouse pro Jared Lintner, and missed the cut by only 4oz. While in Florida, the Iaconellis cheered themselves up with a quick trip to Walt Disney World. Iaconelli finished in 21st place in his grouping in the elimination round, just one position short of continuing to the knockout round. Mike was in the top 20 for the majority of the day. After an exciting fish catch over a bridge, which incurred a 3 minute penalty and a friendly dog visit, it looked like Mike would stave off other the other anglers, but for a second straight tournament, Ike was bumped one spot out on last minute catches. 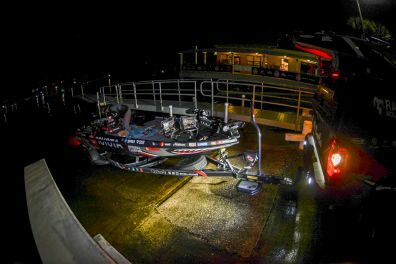 Mike Iaconelli fished in his 18th consecutive Bassmaster Classic, which is the longest active streak on consecutive Bassmaster Classic tournament appearances. After a slow start on day 1, Mike made a run for his second Classic title with over 19lbs on day 2, and finished strong with 14lbs. on day 3. 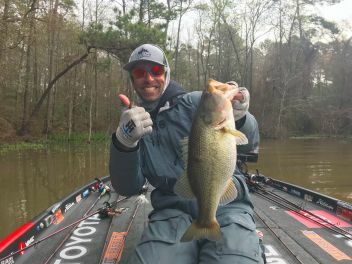 Mike Iaconelli finished 4th in the 2019 Bassmaster Classic. Stage 3 in Raleigh, NC proved to be an exciting stop for the Major League Fishing Bass Pro Tour. Loads of fish from 7-9lbs. were caught. The competitors fished on Jordan Lake, Falls Lake and Shearon Harris. Iaconelli made it past the Elimination round for his group by ending the second tournament day in 10th place, he finished the tournament in 28th place on the 3rd day when the field was cut to the top 10 anglers. Mike Iaconelli did well at Chickamauga, finishing 4th in his grouping to make it to the Knockout round. Mike made a charge from the mid-20s all the way to 3rd place late in the day to make it to the Championship round where he ultimately finished 5th for the tournament. After the 4th stage of the Major League Fishing BPT season, Iaconelli is in 6th place in the overall points standings. Mike has also qualified for both the Challenge Cup and Heritage Cup tournaments. Check out The Ike Foundation for more information as it becomes available. Mike Iaconelli will be in attendance at the fishing industry's leading trade show. iCast is where the most cutting-edge new equipment and tackle is introduced each year.